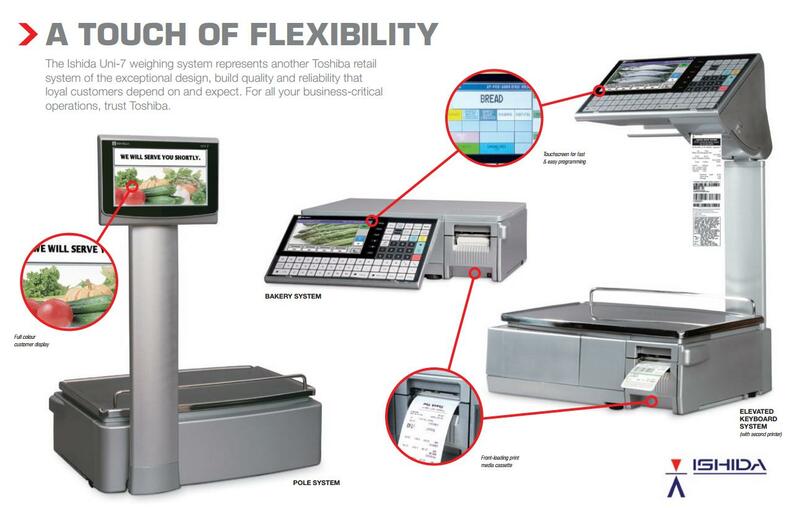 The retail experts at Toshiba introduce the very latest in touchscreen weighing solutions, yet reasonably priced for every business. With several configurations available, all with front-loading media cassettes, the Ishida Uni-7 system is the flexible system for your retail scales requirements. The Ishida UNI-7 scales is available throughout Ireland from Stephen O'Brien Retail Systems.